In Hear This, A.V. Club writers sing the praises of songs they know well. This week: In honor of Comics Week, we’re focusing on songs with “hero” in their titles. 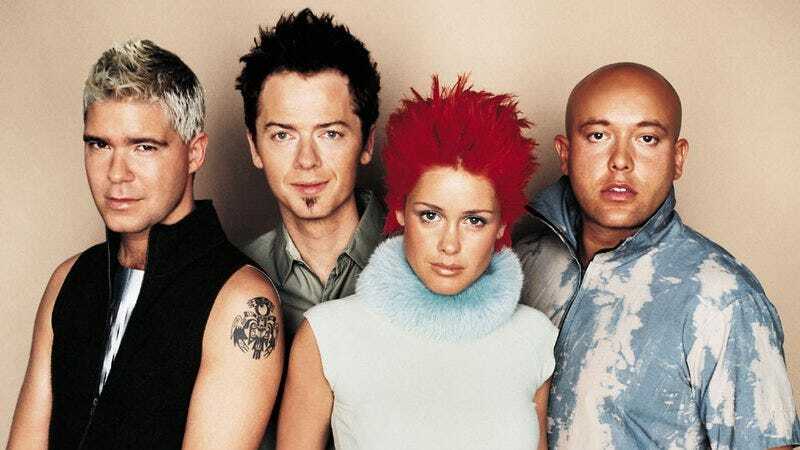 Aquarium was good in 1997, when Aqua, the Danish-Norwegian Eurodance group, released it. Deny it all you want, but songs like “Barbie Girl” or “Doctor Jones” brought the boy-girl, call-response song back in an annoyingly great and somewhat subversive way, and “Roses Are Red” seemed rave worthy. But it was an admittedly gimmicky album that by some grace got a pass into the mainstream. What isn’t as good and did not receive the same bump is the group’s 2000 follow-up Aquarius, but that didn’t stop me from purchasing it. It opens strong, though, with “Cartoon Heroes,” which is essentially a primer on the namesake. The upbeat song discusses the realities of cartoon heroes (which aren’t real at all)—“We are what we’re supposed to be / Illusions of your fantasy / All dots and lines that speak and say / What we do is what you wish to do,” the responsibilities—“We are the cartoon heroes, oh-oh-oh / We are the ones who’re gonna last forever,” and the origins—“We came out of a crazy mind, oh-oh-oh / And walked out on a piece of paper.” There’s even a shout-out to two mainstays— “Here comes Spider-Man, arachnophobian / Welcome to the toon town party / Here comes Superman, from never-never land / Welcome to the toon town party”—while the sound of timpani drums bounces around in the background. I quickly discovered all the other songs are garbage, but I still come back to this one when I’m feeling a little whimsical, and, despite the constant refrain that, “What we do is what you just can’t do,” need the motivation to press on.